From all the materials used in interior decoration projects, natural stone seems to have the greatest power for generating inspiration. It is almost impossible to establish only one reason, because every products has its own set of values. 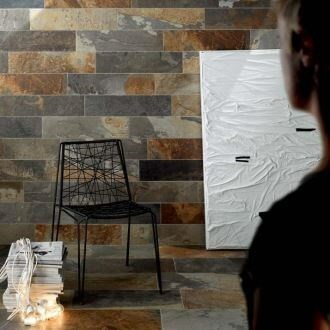 As a result, sometimes you will find inspiration in the color of a stone, other times the texture or finish, even the interaction with the light or tiles size. 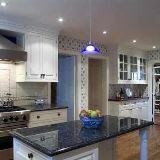 Anyway, regardless of your reason for choosing it, the natural stone will be an active element in any space. But, for introducing a hero (the natural stone) in a story, which in our case happens to be a decoration project, means to notice from the very beginning the entire development of the “action” with all the “characters” gathered, pursuing a specific goal. 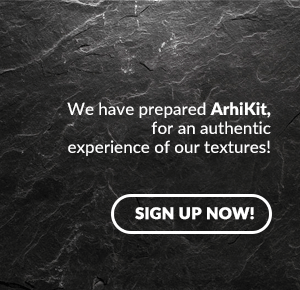 Thus, to think about decorating a room means imagining the aesthetic and practical function of every specific object. For succeeding with this, you will need inspiration. And a good portion of this inspiration comes from natural stone, the other being due to (large!) number of seen decoration projects, directly or in photos. 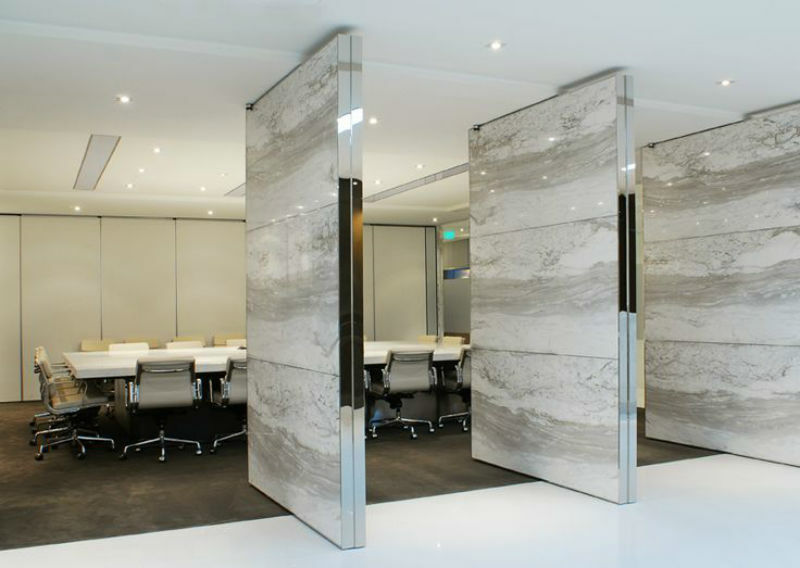 In this article, we are offering solutions for decorating the office spaces, in corporate or less corporate environments. 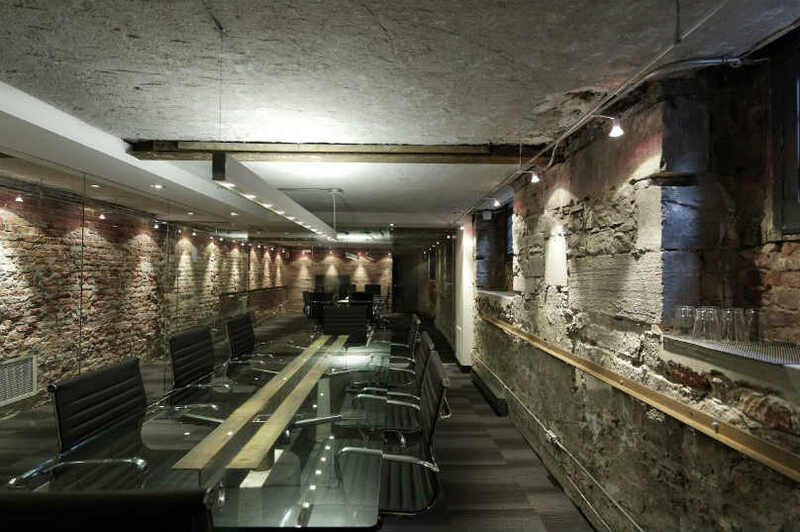 We will see how to use natural stone in offices and conference halls. 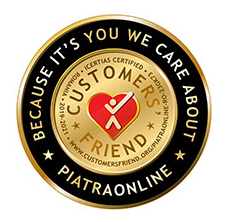 From the beginning, we should mention that our selections are both classic and also less conventional. Almost half a century ago, the rigid, “corporatist” appearance of the offices started to be replaced with a more friendly and personal interior design. From the moment everybody started to spend constantly more time in the office, the office turned into a more private and relaxed area, having as consequence the rising of work productivity. This relaxation appeared as a way of bringing the nature closer, bringing in lots of flowers, wood and banishing the inflexible design lines. 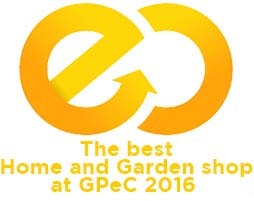 From this series of style innovation, natural stone could not miss, its part growing with every year. 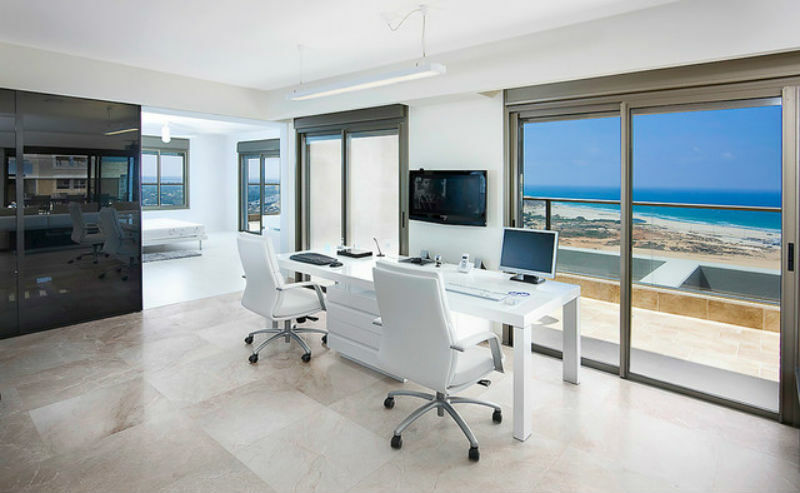 Today, natural stone is used on large scale for decoration project of office spaces, because its essence combines perfectly the elegance, sobriety, warm and happiness. The above picture shows and example of natural stone complexity, in which marble flooring matches both the white from the room and also connects with the exterior, the terrace that maintains the same color variation and texture. The different color of flooring in a white setting increases the volumetric sensation of space, making it seem larger and more spacious. The marble was always the standard of aristocracy and that of the absolute elegance. 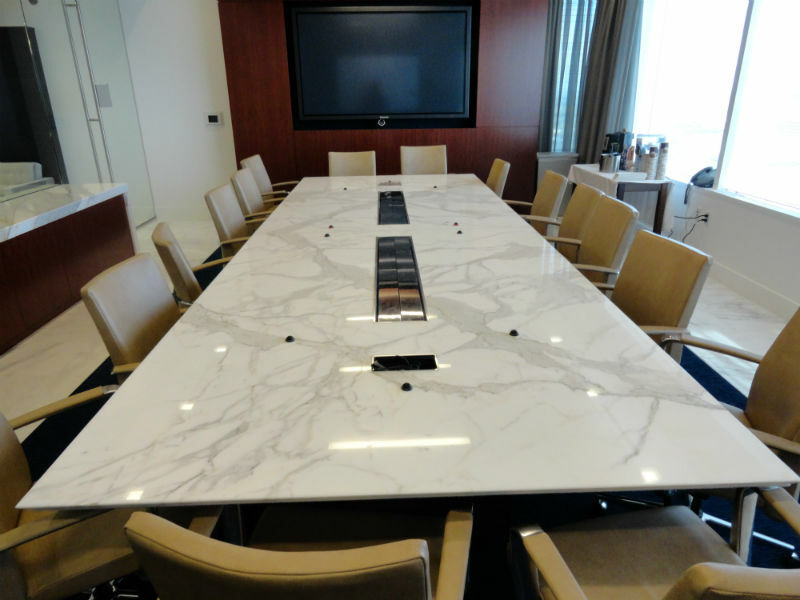 A marble table from a conference hall conveys respect and communicate absolutely the company values. Keep in mind that the countertop is not pure white, so that the fine shade of cream included will combined the chair colors with the burgundy of wood. For a perfectly clear message, the marble countertop is complemented by a flooring made from the same marble. If the photo number 2 presents a very relaxed atmosphere, in the photo number 3 this relaxations is greatly diminished. In photo number 3 sobriety comes from 2 elements: dark color and the thickness of marble table. Austerity and nobility are supported by the height of chairs (lower in photo number 2), the complexity of ceiling light spots, side pillars and absence of natural light. This small detail which is the absence of natural light, is relevant for this setting, because the table, with the light spots from ceiling focused upon it, becomes the main character in here. 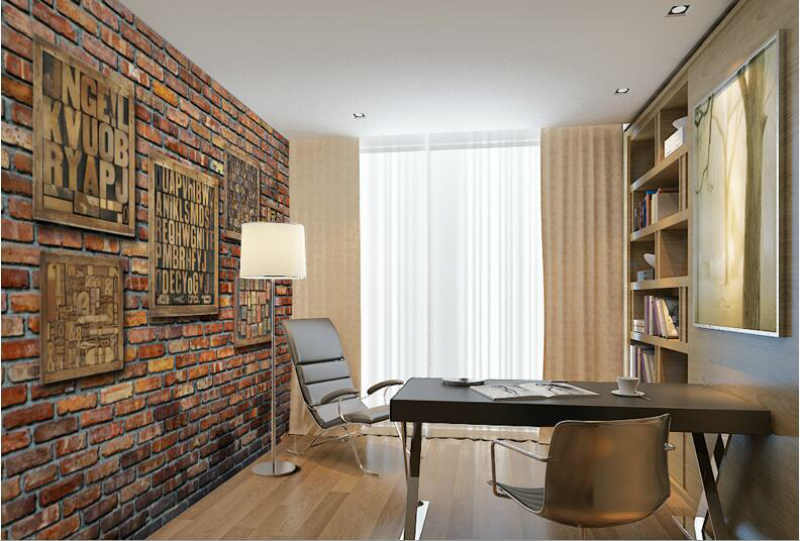 The industrial design has promoted the deco brick as top material for interior decoration project. Walls cladded with deco brick, pipelines and concrete left in sight, as if the building is not finished yet, define the industrial design. 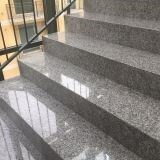 In this setting, natural stone with glossy finish (marble, travertine, granite) is rapidly highlighted, no matter if we are talking about a furniture piece or a cladded wall. The contrast in not only elegant, but also necessary: the appearance intentionally broken of the industrial needs an accent for softening the harsh aspect of the setting. Industrial design adapted to “meeting room” spaces offers a larger freedom of movement though. The image from above in which the natural stone from the left wall is perfectly matched with the light and glass, conveys icy, distant sensations. The purpose of stone in here is to warm the atmosphere, to establish a balance. Although not very obvious, the left wall cladded with natural stone has a color different from the rest of the room, thus focusing the attention upon it. Photo number 6 is also about balance, except in here the balance is more complex and dynamic. Marble cladded walls connect the two areas, the conference hall and the lobby. The grey from the marble vein becomes an accent towards the grey of the carpet, while the white of natural stone is matching the great white mass of the two rooms. The massive white is fully based on the three walls cladded with marble. Without these, the carpet grey would have been victorious, the white floor and the walls from the background would not have had enough energy for marking completely the decorated space. Without these three marble-plated walls, the decoration project would have been a dull one without personality. 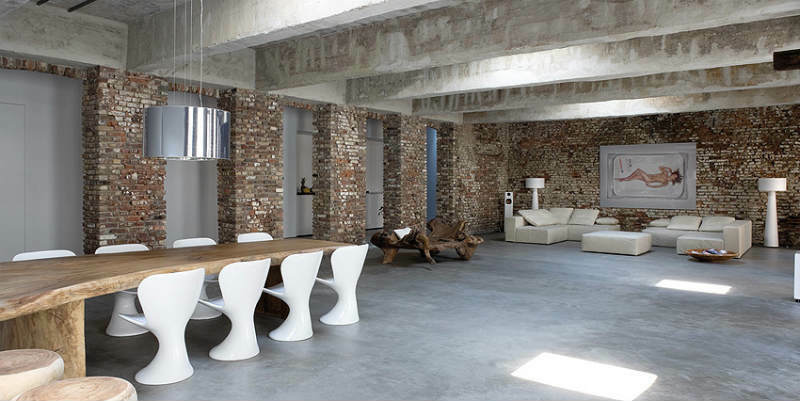 Deco brick manages to create the illusion of a larger space than it actually is. The small office is fine coordinated from the color point of view, it is not striking and the brick suggests even an open, cool space. At the same time, there is a relaxing dialogue of textures: the roughness of the bricks over the elegance of the curtains. 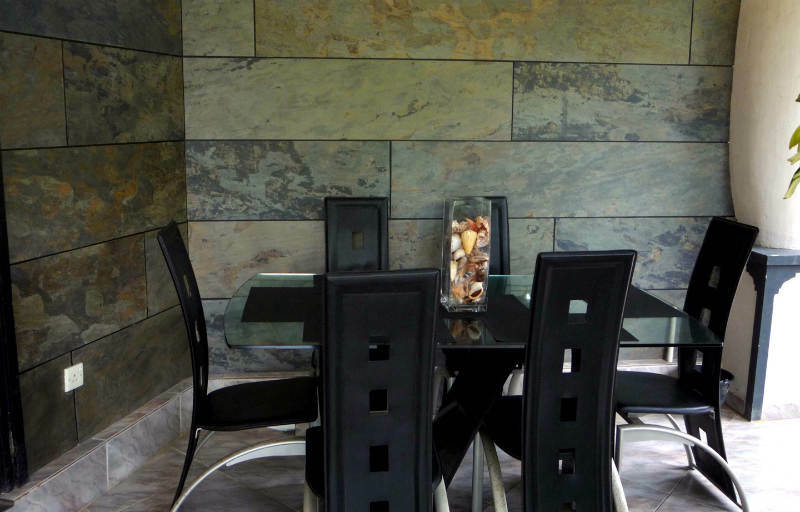 Walls cladded with slate provides this little corner with a special vibration, relaxing vibe, in a perfect symbiosis with the glass of the table. The high chairs with their modern, linear design come in counterpart with the "disorganized" texture of the slate. 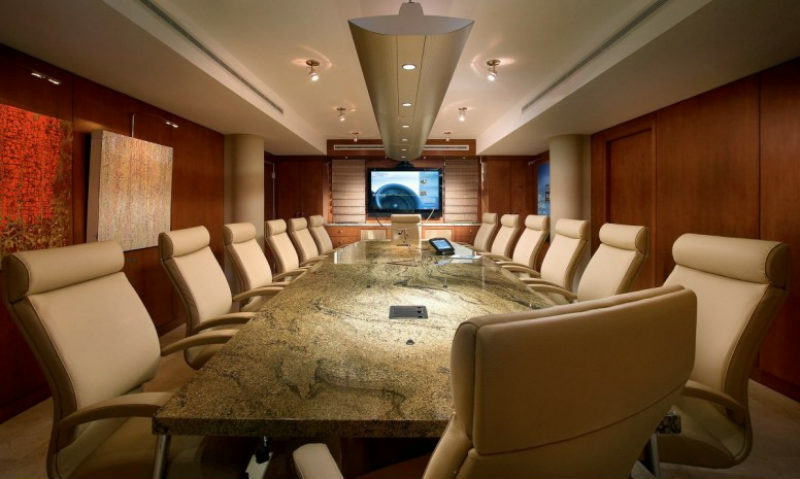 The ability to inspire natural stones in office and meeting spaces is huge, as we could see in the examples above. Natural stone also proves useful in this case. For more suggestions on office decoration projects, visit our website, or get in touch with us over the phone +40318.222.333 or visit to our showroom from 137 A Aleea Teisani, District 1, Bucharest.